Never underestimate the necessity of your gutters. Sure, they may seem useless but, in reality, it is your gutters that keep the rest of your house from crumbling. 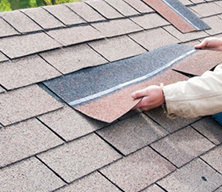 When your gutters are blocked, cracked or damaged, you may notice that the entire roofing system is faulty. You may also notice your roof collapsing right before your eyes. The reason is because your gutters are responsible for keeping your roof clean from debris, snow, rain and other weather problems. If your gutters are not working properly, then you can expect additional problems down the road. Make sure you clean out your gutters once or twice a year. This can be as simple as grabbing a ladder and making your rounds around the house. You will probably notice a buildup of leaves and other debris, especially after the Fall season. It is a good idea to do a gutter cleaning at the end of October or early November before the extra cold winter season approaches. 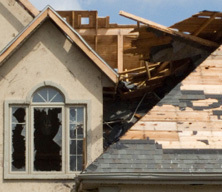 If your gutters are leaking, then contact a roofing contractor right away. The quicker you get the problem fixed, the better your home will be. Leaky gutters can be patched or repaired but you need to act fast before the damage gets too serious. Gutters can be damaged by trees and branches so make sure there are no trees scraping against your gutter system. It is also a good idea to cut down any trees that are dropping wet leaves into your gutter or onto your roof. During the snowy season, check to make sure there are no large iced caps on your gutters. Ice and snow can build up in your gutters, creating blockage problems as well as causing damage. 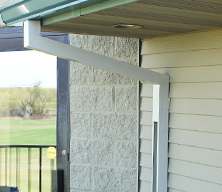 Furthermore, make sure your gutters are not going directly to a pathway or walkway. This snow and ice can make for very slippery grounds. 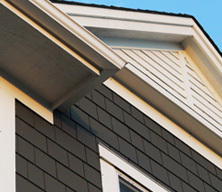 There are a variety of different sizes and colors that gutters come in these days. 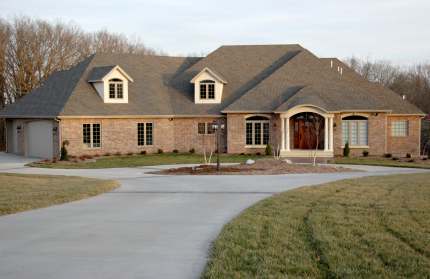 Although many of us prefer to stick to the traditional white gutters, you most certainly do not have to. 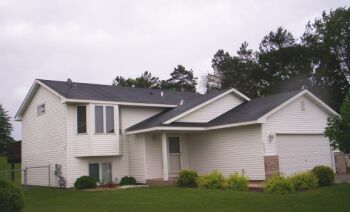 There are seamless gutters than can give your home a smoother finished look. If you notice that your gutters are damaged, sagging, missing parts or improperly installed, or if you want to upgrade your look with a new gutter system, then contact Brigley Roofing today. 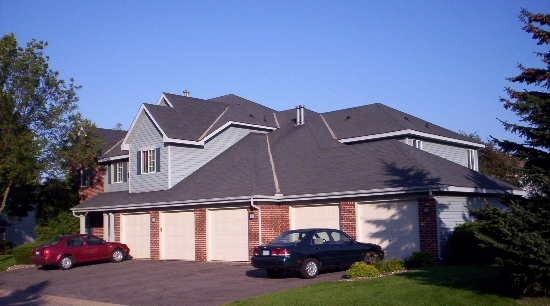 We specialize in all gutter services in the St. Paul/Minneapolis area and can provide you with a free estimate on your gutter needs. Contact us today at (651) 458-5760.